A wacky world of movie related nonsense. Enter At Thine Own Risk! No Oscar nominations list is perfect. For every five worthy, totally deserving choices, there’s at least one irksome, exasperating snub guaranteed to stick in the collective craw of legions of ardent film fans. 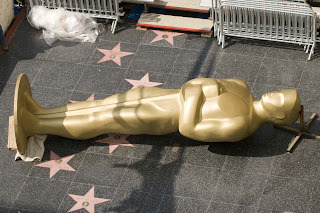 Previous years have seen films like The Dark Knight, Wall-E and Eternal Sunshine of the Spotless Mind, as well as sparkling performances such by Paul Giamatti (in Sideways) and Viggo Mortensen and Mario Bello (in A History of Violence), passed over in favor of safer, duller Oscar-bait. Although this new crop of Oscar nominees is a considerable step up from last year’s largely uninspired and irritating list — The Curious Case of Benjamin Button and The Reader? Seriously?! — there’s still the odd little missing name or title which deserves serious mention. So, I’ve compiled the Top 5 most egregious snubs, the poor choices that could have been easily avoided and remedied if a little more care and attention had been paid. * Just a note before we begin, I’ve purposely left Sam Rockwell’s stellar work in Moon and Tobey Maguire’s revelatory turn in Brothers off this list. Not because they aren’t deserving of heaps of glowing attention, but rather because the five names that already make up the Best Actor nominee category are more than deserving of their recognition and don’t warrant being figuratively bumped. However, if Tim McGraw had been nominated for The Blind Side, or Mark Wahlberg for The Lovely Bones, I’d be singing a very different tune. 5. 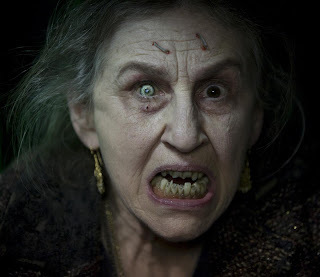 Drag Me to Hell for Best Makeup — While I’m sure the makeup work in The Young Victoria was gangbusters, few cinematic images were more gloriously memorable in 2009 th an the sight of Lorna Raver’s Hag-from-Hell Gypsy sorceress hovering, staples firmly wedged into her repulsive and seemingly ancient wrinkled mug, over a shrieking Alison Lohman. With the sicko geniuses from KNB tirelessly working behind the scenes, conjuring up endless devilishly deranged creations, Sam Raimi’s spook-a-blast spectacular was a veritable showcase for some of the madcap best and most brilliantly disgusting makeup work of the year. 4. 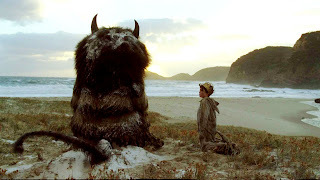 Carter Burwell’s score for Where the Wild Things Are for Best Original Score — Say what you will about the film itself, Burwell’s delicate, beautiful music communicates the pain, confusion, wonder and unbridled joy of childhood with seamless efficiency and sensiti vity. When paired with Spike Jonze’s often dazzling images, the tingly, chill-inducing results send hearts soaring and rock the collective audiences’ emotions to the very core. If James Horner’s cheerlessly derivative Avatar score — a lazy, under-baked combination of his Titanic and Apocalypto efforts — can win a nomination, it’s criminal that Burwell’s aurally transfixing compositions were ignored. 3. 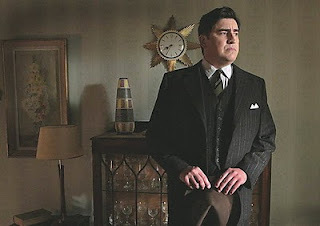 Alfred Molina, An Education, for Best Supporting Actor — Look, we all know at this point that Christoph Waltz is a lock to win in this category, but there’s no reason that room couldn’t have been made to give this esteemed character actor his first career nod. Playing Carey Mulligan’s loving, but uptight, papa, Molina was alternately side-splittingl y hilarious and gently heartbreaking; a stubborn, proud family man paralyzed by the lingering uncertainties and wounds of WWII upon his country. Watching Molina’s character go about his daily humdrum existence, anxiously shielded against any potential spark of spontaneity or excitement, it’s impossible not to feel the warmth and compassion burning just beneath his standoffish exterior. As spectacular as Mulligan is, it’s Molina who sticks with us; a quiet, frightened man just wanting to do boundless good for those he loves unconditionally. 2. Marion Cotillard, Nine, for Best Supporting Actress — Rob Marshall’s Nine was a fairly terrible film: a clumsy, superficial mess masquerading as artsy, high-brow entertainment. However, one of the film’s few saving graces was the wounded, passionate performance of Cotillard, whose wro nged director’s wife provided fiery energy and emotional pyrotechnics to a project otherwise largely devoid of either quality. Whether having a quiet, devastating revelation while viewing her husband’s test footage or tearing up the stage during her furious “Take It All” number, the actress jolted audiences awake with her verve and raw intensity. Why Penelope Cruz’s serviceable turn as Daniel Day Lewis’s mistress got the golden go ahead while Cotillard got the snub is utterly beyond me. Certainly her exclusion is one of the Academy’s most ridiculous blunders in years. 1. Melanie Laurent, Inglourious Basterds, for Best Supporting Actress — Even though I wasn’t remotely surprised to see Laurent’s name absent from the Oscar nomination list (the precedent had already been set by the numerous preceding year-end awards groups that had ignored her) it was hard not to feel the sting of a true missed opportunity. As Shosanna, the vengeance-seeking Jewish cinema owner responsible for toppling the Nazi party, the actress provided Tarantino’s WWII epic with an aching soulfulness that was a true wonder to behold. Although her character is undoubtedly remembered best for her iconic final appearance, projected across a plume of hellish smoke, Laurent’s subtle handling of the movie’s trickier conversational scenes — sharing a strudel with Waltz’ Landa or engaging in awkward flirty discourse with Daniel Bruhl’s smitten war hero — are equally impactful; unmistakably honest, relentlessly gripping, and bearing the distinctive stamp of a brightly shining new talent hopefully destined for great things. I'm a freelance journalist living in North Vancouver, BC. All reviews and articles copyright Cam Smith. Awesome Inc. theme. Powered by Blogger.